Shamwari Chefs do us proud! Recently we participated in a Potjiekos Competition with our reserves at the Sidbury Club and our team of Shamwari Chefs did us proud in the Potjiekos Competition! This was the 2nd year that Shamwari Game Reserve has entered the Potjiekos Competition. 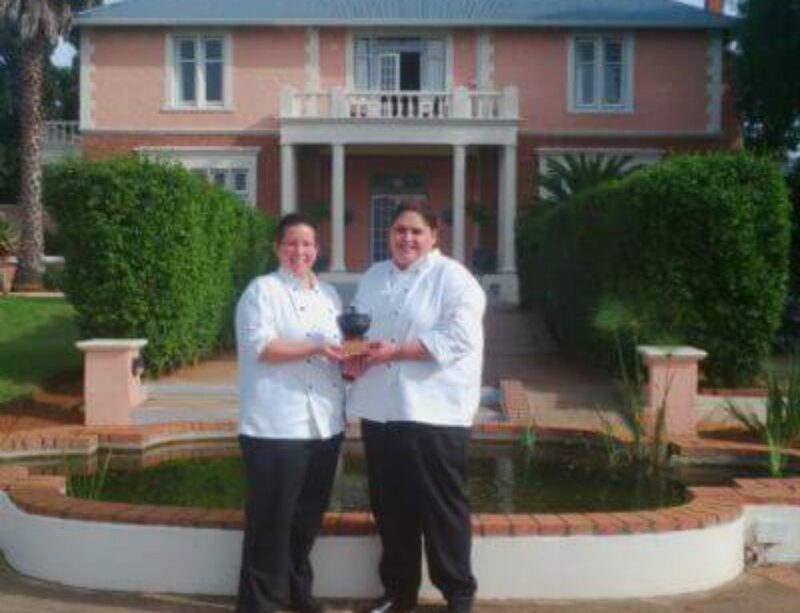 Last year we won the trophy for the best potjie and this year we are proud to say we took the trophy home again! For those who don’t know, Potjiekos, literally translated, is “small pot food” and is a stew prepared outdoors. It is traditionally cooked in a round, cast iron, three-legged pot. Being part of the inter reserve Potjiekos Competition for the second time has been great fun and an incredible team building exercise amongst the reserves and chefs. The team of Shamwari Chefs were: Sharelda – Executive Head Chef, Dinah, Priscilla and Nicholas. The competition started at 12:00 and finished at 18:00. 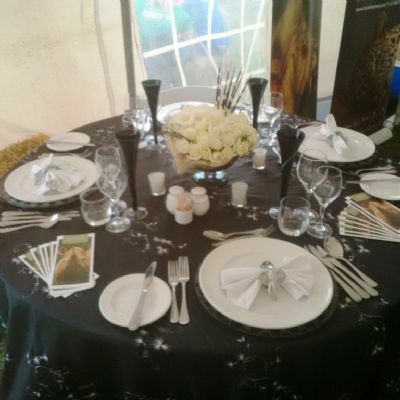 Each representative had to make sure that their stall represented their Game Reserve in the best possible way. 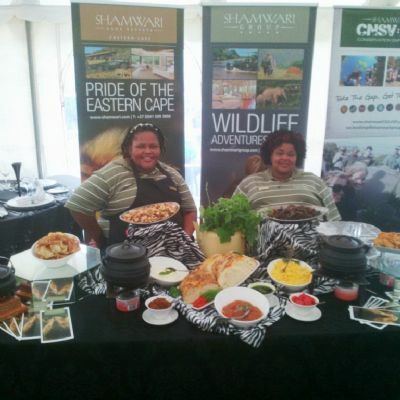 The Shamwari Game Reserve/Hospitality and Shamwari Conservation Experience stalls were side by side, each making our own unique potjies. Shamwari Conservation Experience made a stunning seafood potjie and Shamwari Game Reserve/Hospitality made a delicious Cape Malay lamb potjie, which by the way was the winning trophy potjie of the Game Sale. Our Chefs set a formal table with a full dinner set-up as they do on the reserve. The judges were then invited to dine and were presented with starters and dessert with recommended wines from the Chef. Our Chefs made sure we went the extra mile to show the judges the finer details and the service on offer at Shamwari Game Reserve/Hospitality.